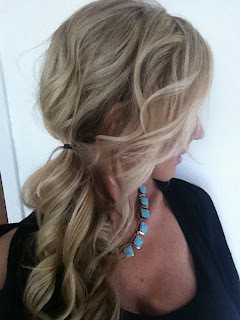 Use the wand to create beautiful, soft, bouncy waves. Then gather most of your hair back (I left some longer pieces out around the front for softness) and to the side in a low-pony and secure with any band. I like these in clear and black.